So by now I'm sure you have figured out from reading TexanTreks that I love myself some gold prospecting. 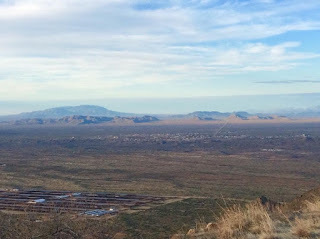 The day after Christmas I left for Stanton Arizona for another gold adventure. 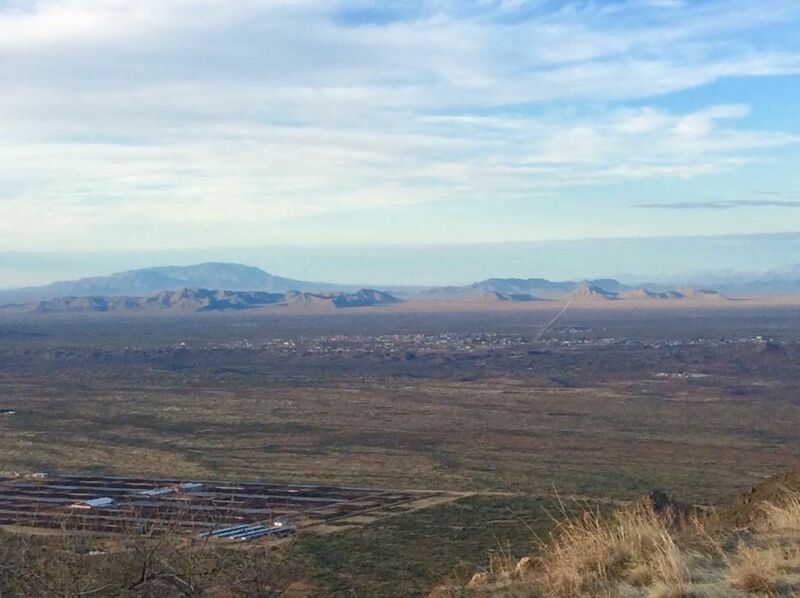 Stanton is about an hour northwest of Phoenix. The town is nothing more than a ghost town nowadays with only a few buildings left but there is still plenty of gold in them there hills. In the old days Stanton was famous for a nearby spot named Rich Hill. On top was called the potato patch because early gold prospectors found gold nuggets the size of potatoes just lying on the surface there! Of course that's long gone, but nuggets are still found regularly around Stanton with the washes and creeks having good gold. 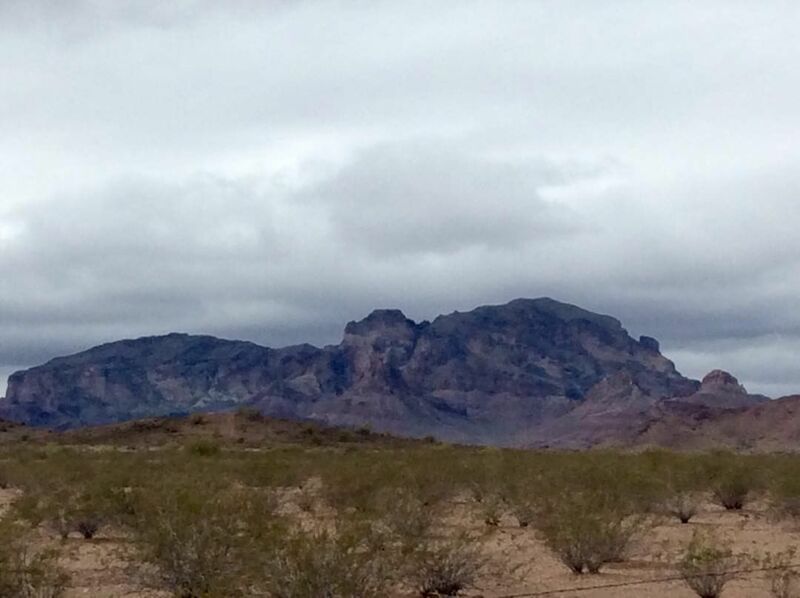 It is beautiful high desert. A lot of cactus but some breathtaking landscape and views as you can see. I had three days allocated for Stanton and planned to do some damage! I was hoping to bring back several five gallon buckets of gold bearing dirts to process at home this spring. It's too time consuming to process the material there. I wanted to get as much material as possible. More good dirt equals more good gold! It's known as a ghost town but there are prospectors about looking for the pretty stuff. Always friendly and a wealth of knowledge I talked to some locals and they directed me out to a mining claim on Weaver Creek called Snake Den. When I asked how to get there he went into an impossible to follow list of dirt roads and turns. No way I could find that on my own. Luckily he agreed to hop in his little off-road dune buggy thingy and take me out there so off we went. Sure enough there was no way this side of Kansas that I would ever have found it. He took me down Weaver Creek running thru the claim and showed me some diggings pointing out the overburden and the pay layer to get a into. 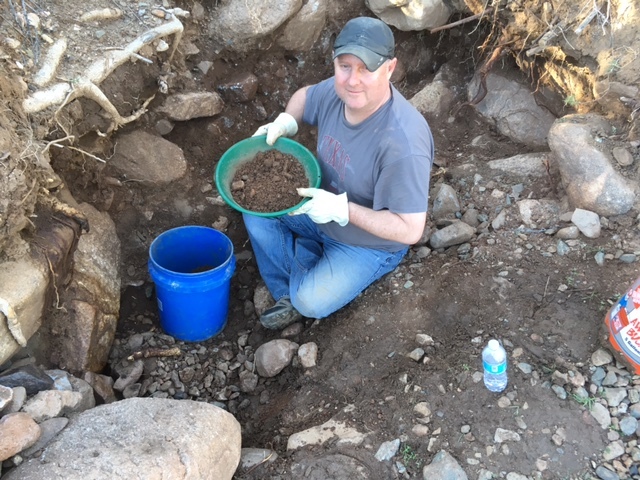 I spent the next few hours digging material and classifying it down to get rid of the bigger rocks. 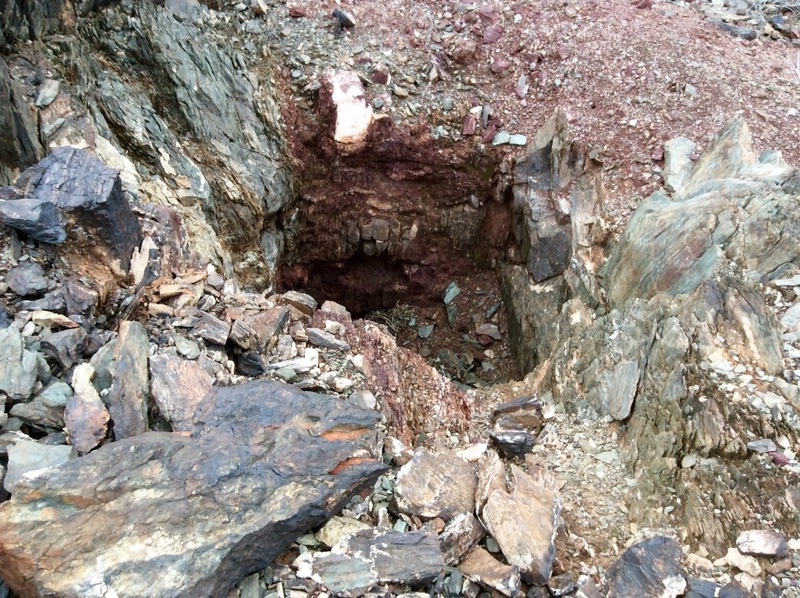 It was hard digging as the pay layer containing the gold was compacted river dirt from long ago. I had a pick to help break it up before classifying it into five gallon buckets. A nice prospector came over and took a pan of the dirt to test. He came back and said he found three colors (pieces of gold) in the pan once he worked it. I knew I was on the gold. Not great gold but i figured I dug 35 pans worth of gold so you do the math at three pieces per pan. Could be near a hundred if it "pans out" haha. That was the end of day one and I was feeling pretty good about the results. It's good honest work gold prospecting. You're nice and tired at the end of the day from picking, digging, classifying and carrying heavy buckets, but it's feel good stuff. Day two and it was breakfast at 7am up on top of the mountain range in a little town called Yarnell. The views up top are just off the charts as you can see for miles and miles. Then it was back down to Stanton for another day of hunting the gold. 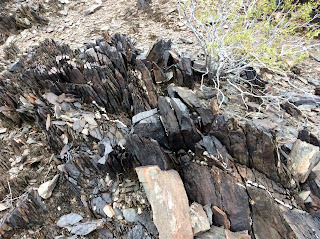 This time I got into some material that the locals had turned out from a nearby mining claim. I lucked out and had a highbanker that a nice couple allowed me to use for the day. Highbankers and sluices are wonderful because I can turn ten buckets of dirt into about one pan worth of material after running it through the highbanker. All the rocks and light stuff are kicked right out leaving the heavies and gold. It was a long five hours of work but I figured about 50 buckets were processed. Should have some pretty nice gold once I pan the concentrates out back home. I also shoveled up two five gallon buckets of tough clay gold bearing material. It was too sticky to run through the highbankers so nobody would touch it. The local prospector said it had really nice chunky gold in it but would have to be dried really good to process it. No worries for me. I scooped it up to take home to dry it out. Nuggets and chunky gold? Yes please. It rained pretty good all night so I knew there would be big trouble getting out on the sketchy dirt roads around Stanton. It cleared up about 8am so I waited until noon and headed back out. No way was I going to lose my entire last day to rain. I went back down into the Snake Den claim on Weaver Creek. I dug a bit of material and headed out. Not sure how productive it will turn out but I'm sure I have some color in there. Day four started the journey home, but there was a spot on the way south I wanted to check out near a little town named Tonopah. It's always a bit of a crapshoot when you are prospecting a place for the first time. You never know quite what to expect. It was drizzly and chilly but upon arrival I knew it was an awesome place. The geology was incredible. Very volcanic with fissured lava at the surface. Every so often in one of the fissures was a really nice quartz vein right at the surface. Awesome stuff! I could totally see why the old timers were digging gold there. I pulled several chunks of white quartz straight out of the volcanic fissures, sad to say no visible gold. I walked the hills looking for free milling gold but didn't find any obvious pieces. In doing my research on the area I had read that a prior prospector had found gold in the wash in the material sitting right on bedrock. 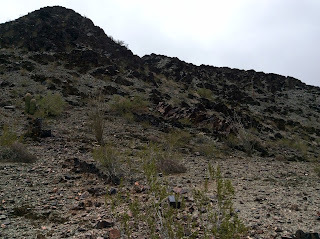 Luckily there were areas of exposed bedrock and near surface bedrock I could see when I walked the wash. So I grabbed a pick, shovel, bucket and scoop and decided to fill a bucket to bring home. Hopefully there will be some decent gold we'll just have to see. 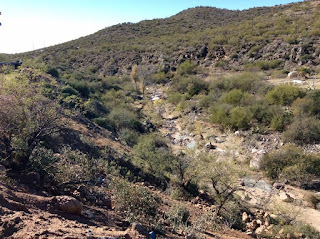 That ended my four days of gold prospecting around Stanton, Arizona. I'm expecting some pretty decent gold once I have it all worked back home. I think I have enough material to keep me busy until my summer Colorado gold adventure in July!